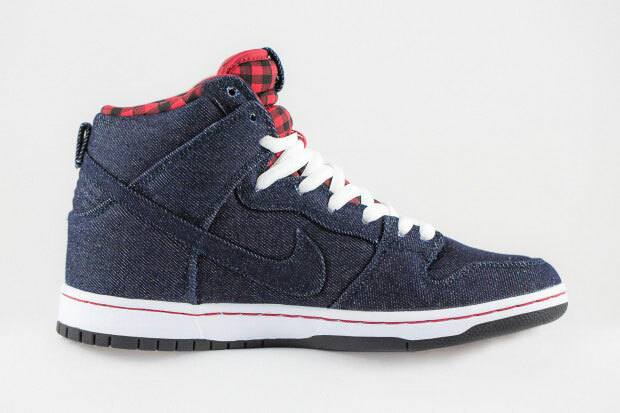 Nike SB Dunk High Premium “Denim” Dark Obsidian / White / Gym Red now in stock. 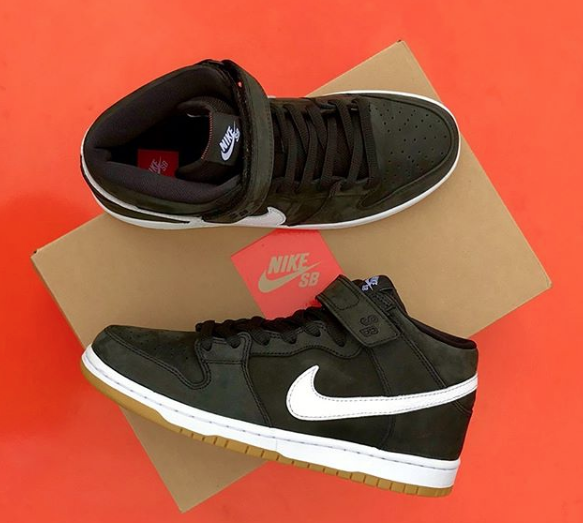 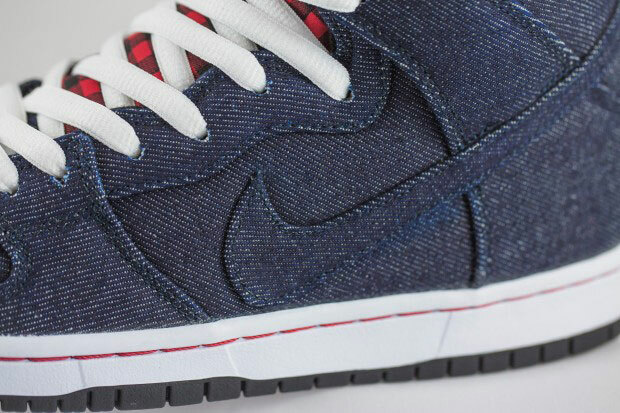 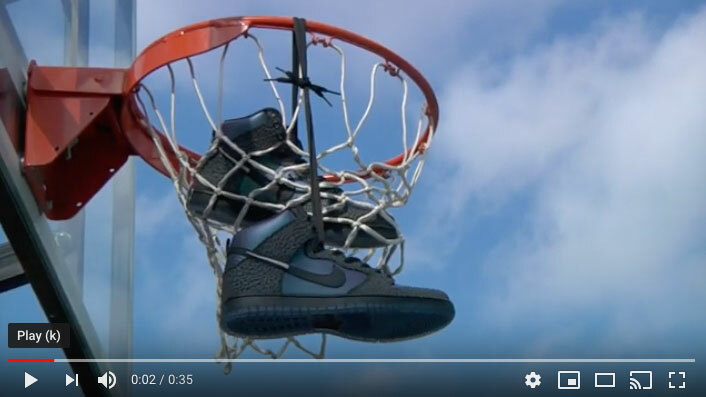 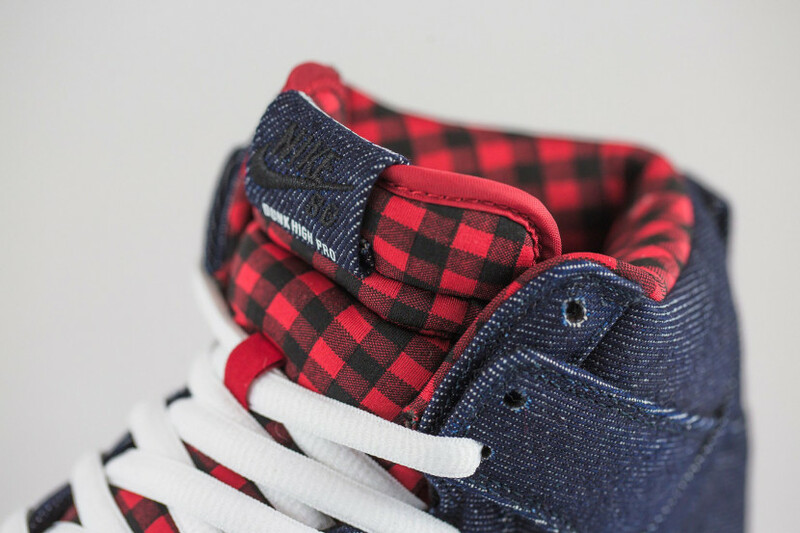 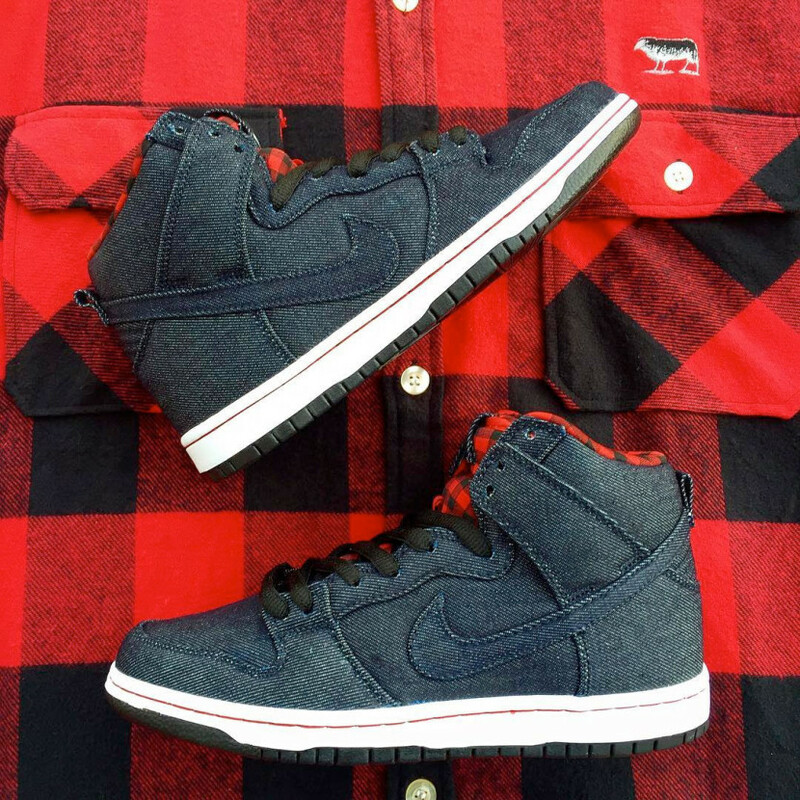 Nike Dunk High Pro SB features a full premium denim upper with buffalo plaid red/black interior lining and white midsole and red stitch accents. 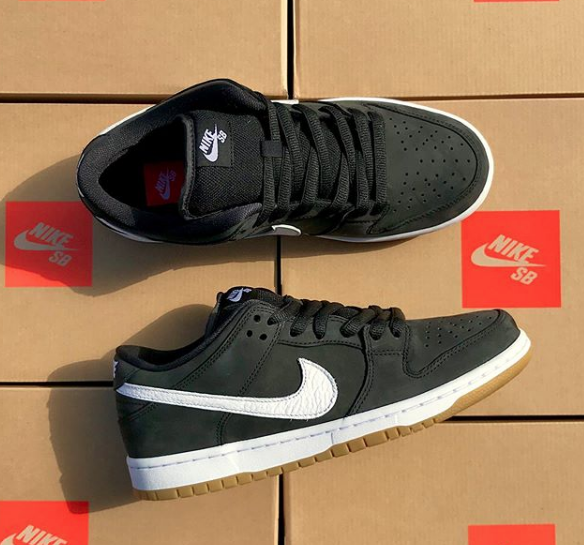 Visit our Contact Page for more information or to check your size in any of our Nike selection. 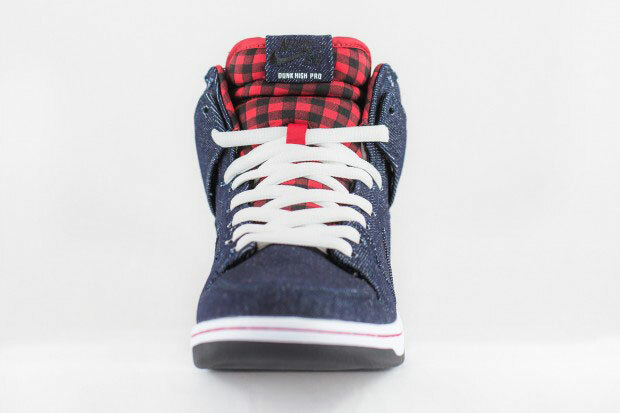 Please mention shoe style and size in your request.